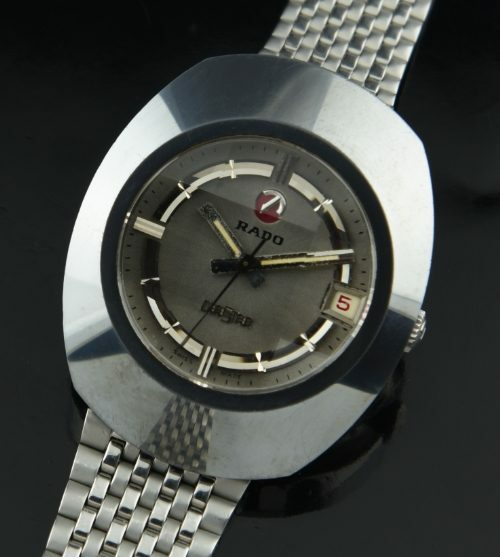 This is a very cool 1970’s RADO DIASTAR made of scratch resistant tungsten/carbide which was RADO’S innovative creation beginning in the early 60’s. The picture does not display how this watch shines like new. It is amazing wow they do not scratch! The crystal is also very cool-original and faceted, creating a flashy mesmerizing display as you move the wrist. The case measures 35.5×42.5mm. and retains the original winding crown. The automatic and fine RADO movement was cleaned-accurate. 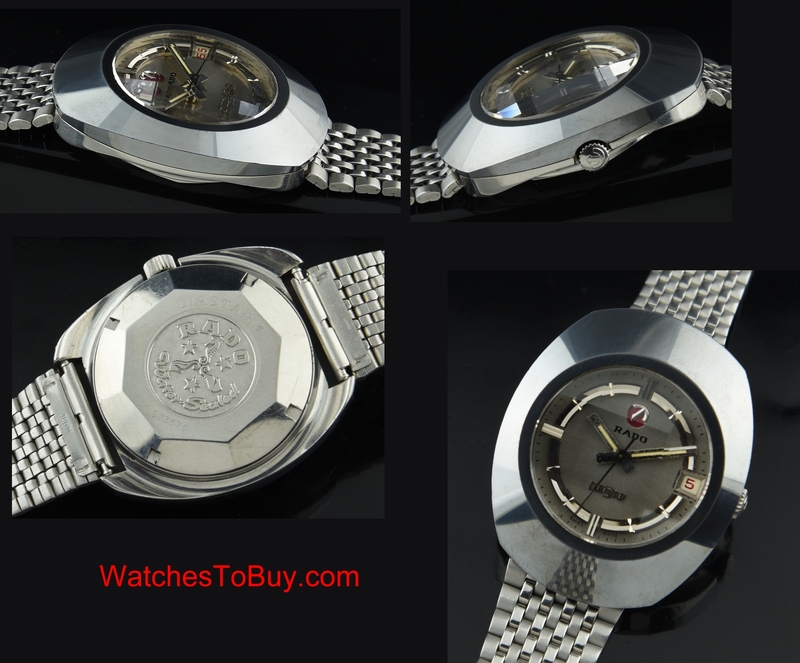 A fine steel vintage generic adjustable bracelet looks great on this watch. Notice the red date.